Investing.com – Oil prices finished lower for a sixth straight session on Friday to tally their worst weekly loss in two years, as investors continued to fret over soaring U.S. output levels. Steep losses in the global stock market this week and a strengthening dollar also contributed to oil’s losses. U.S. West Texas Intermediate (WTI) crude futures for March delivery sank $1.95, or around 3.2%, to close at $59.20 a barrel. It fell to its worst level since Dec. 22 at $58.07 earlier in the session. Meanwhile, April Brent crude futures, the benchmark for oil prices outside the U.S., tumbled $2.02, or roughly 3.1%, to settle at $62.79 a barrel, after it touched a more than nine-week low of $61.77 earlier in the day. For the week, WTI crude lost roughly 9.6%, which was the biggest such decline since January 2016, while Brent gave up about 8.5%. The number of oil drilling rigs jumped by 26 to 791 last week, General Electric (NYSE:GE)’s Baker Hughes energy services firm said in its closely followed report on Friday. That marked a third straight week of increases and the largest weekly rise in more than a year, implying that further gains in domestic production are ahead. That came after data on Wednesday showed U.S. oil production, driven by shale extraction, rose to an all-time high of 10.25 million barrels per day (bpd). That figure is above that of top exporter Saudi Arabia and within reach of Russia’s output levels. That added to fears that rising U.S. output would dampen OPEC’s efforts to rid the market of excess supplies. The producer group, along with some non-OPEC members led by Russia, agreed in December to extend oil output cuts until the end of 2018. Among other energy contracts, March gasoline futures slumped 6.4 cents, or 3.6%, to end at $1.700 a gallon on Friday, with prices suffering a weekly loss of around 9.2%. Heating oil for March edged down 6.6 cents, or 3.4%, to $1.855 a gallon, posting a weekly drop of around 9.7%. Meanwhile, natural gas futures plunged 11.3 cents, or 4.2%, to $2.584 per million British thermal units, its lowest finish since late February 2017, for a weekly decline of 9.2%. In the week ahead, market participants will eye fresh weekly information on U.S. stockpiles of crude and refined products on Tuesday and Wednesday to gauge the strength of demand in the world’s largest oil consumer and how fast output levels will continue to rise. Oil traders will also focus on monthly reports from the Organization of Petroleum Exporting Counties and the International Energy Agency to assess global oil supply and demand levels. The Organization of Petroleum Exporting Counties will publish its monthly assessment of oil markets. The International Energy Agency will release its monthly report on global oil supply and demand. Later in the day, the American Petroleum Institute, an industry group, is to publish its weekly report on U.S. oil supplies. The U.S. government will also publish a weekly report on natural gas supplies in storage. This entry was tagged brent crude, crude futures, crude oil prices, OPEC, WTI Crude Oil. Bookmark the permalink. U.S. crude oil prices rose above $50 per barrel on Monday and were near last week’s multi-month highs as the number of U.S. rigs drilling for new production fell and refineries continued to restart after getting knocked out by Hurricane Harvey. U.S. West Texas Intermediate (WTI) crude futures were trading up 41 cents, or 0.8 percent, at $50.30 by 0852 GMT, near the three-month high of $50.50 it reached last Thursday. Brent crude futures, the benchmark for oil prices outside the United States, were at $55.91 a barrel, up 29 cents, and also not far from the near five-month high of $55.99 touched on Thursday. “Demand forecasts from OPEC and IEA … continued to improve sentiment in the market. Refineries are also reporting a much better recovery from the recent hurricanes,” ANZ bank said on Monday. Oil refineries across the Gulf of Mexico and the Caribbean were restarting after being shut due to hurricanes Harvey and Irma, which battered the region over the past three weeks. Royal Dutch Shell’s Deer Park refinery in Texas was among the latest, beginning its restart on Sunday. The plant can process 325,700 barrels per day. The refinery restarts are occurring “as signs emerge of stalling growth in the U.S. shale industry. The number of rigs drilling for oil in the U.S. fell sharply last week,” ANZ said. Despite these signs of a tightening market, analysts warned that distortions from the recent hurricanes made it hard to identify more long-lasting supply and demand fundamentals. 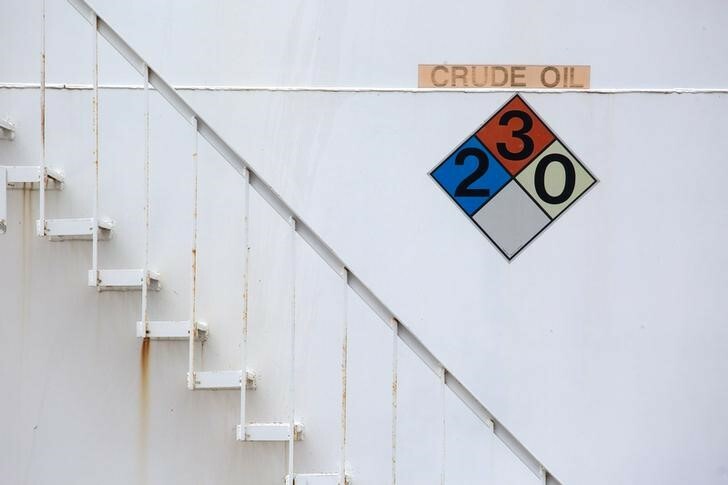 This week’s crude inventories data will almost certainly still show the distortions of Harvey and Irma and significant increases may be looked at by traders as outlier data,” said Jeffrey Halley, senior market analyst at futures brokerage OANDA. This entry was tagged brent crude, crude oil, crude oil futures, crude oil prices, utilities, WTI Crude Oil. Bookmark the permalink. The WTI Crude Oil market was very volatile during the Friday trading session, but continues to struggle near the $50 handle. At this point, it’s not until we close above there on a daily chart that I would be willing to buy this market, and I think a breakdown below the $49.25 level would be a sell signal. In the meantime, it’s likely that the market will be very choppy and difficult to navigate. I’m waiting for some type of impulsivity to get involved. Brent markets rallied after initially going sideways on Friday, using the $55 level as support. Now that we have pulled back a bit, looks like the buyers are coming back in and perhaps we should go looking towards the $56 level. A break above there census market looking for $57.50. If we were to break down below the $55 level, the market should then go down to the $54 level after that. Expect volatility, that’s what we have seen for some time. This entry was tagged Brent, crude oil, crude oil futures, crude oil prices, WTI Crude Oil. Bookmark the permalink.